At the start of Satrana Lodge, the ride lasts about 02:00 with 300 m vertical drop go back. You will discover the Tapia forest and the rustic landscape of the Isalo with these massive ruiniform and these pachypodiums. There are also tombs Baras and finally,an extraordinary view over the surroundings,the hotel seen from above. On the way back, you will see the difference in landscapes. At the start of Satrana Lodge in feet, We will start the market by climbing the mountain. Along the way we will be able to shade in the Tapia forest; arrived at the top you can admire the panorama taking breath. We will begin to descend about crossing tombs Baras, arrived at the bottom you will see the change of scenery,the wind and the heat will be transformed into oasis refreshing. We'll then a good time at the natural swimming pool where you can swim. We will then resume the road, facing north, While crossing the forest of Pandanus, or a car will pick us up and take us back to the hotel, is to the South across the rice paddies to the hotel . Malaso circuit in order to admire the sunset through the window of the isalo, visits to the villages Baras, visit mine of sapphires in Jeep. Former vehicle of the French foreign legion, refurbishment fully. 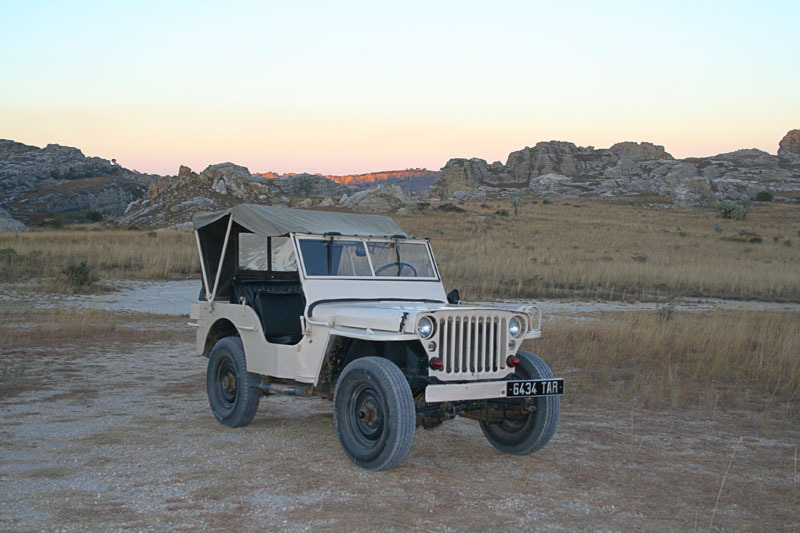 Rates : to the reception (the Jeep is driven by a driver and can take that 3 passengers). 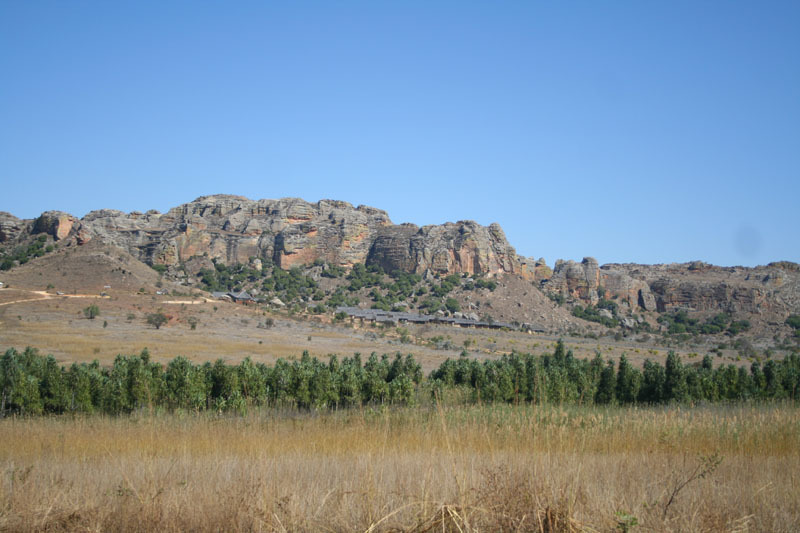 Isalo is the Grand Park Sud.Ce massive ruiniform of the Jurassic era is the most visited tourist site in Madagascar. 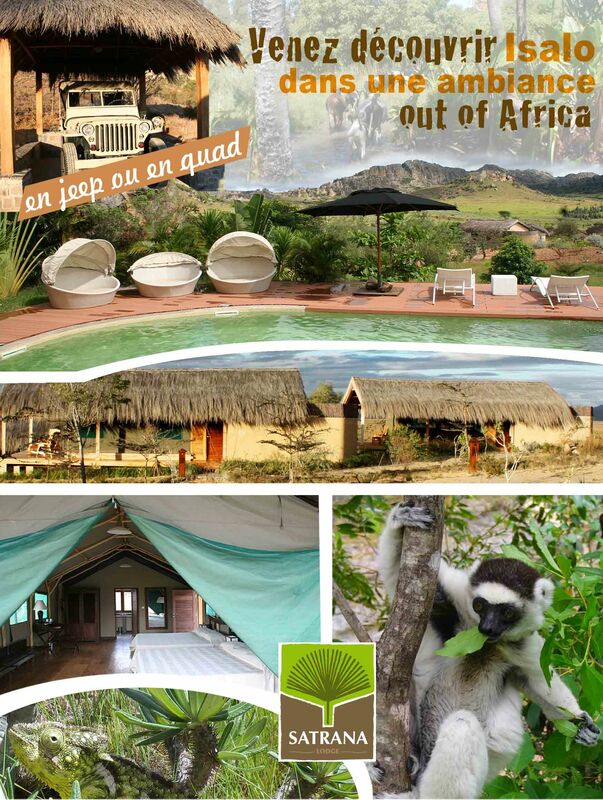 Kingdom of Queen of Isalo, birthplace of a particular wild nature and a landscape unparalleled, lovers of great stopovers will be seduced by this park. And a sunset seen through the window of the Isalo is a postcard that is worth trying. Park furrowed of rivers and their tributaries, spans 81 540 HA. This massive ruiniform is a plateau of continental sandstone dating from the Jurassic. Heavily eroded, witnesses fragmented by the sandy valleys and canyons only remain : a truly exceptional performance. 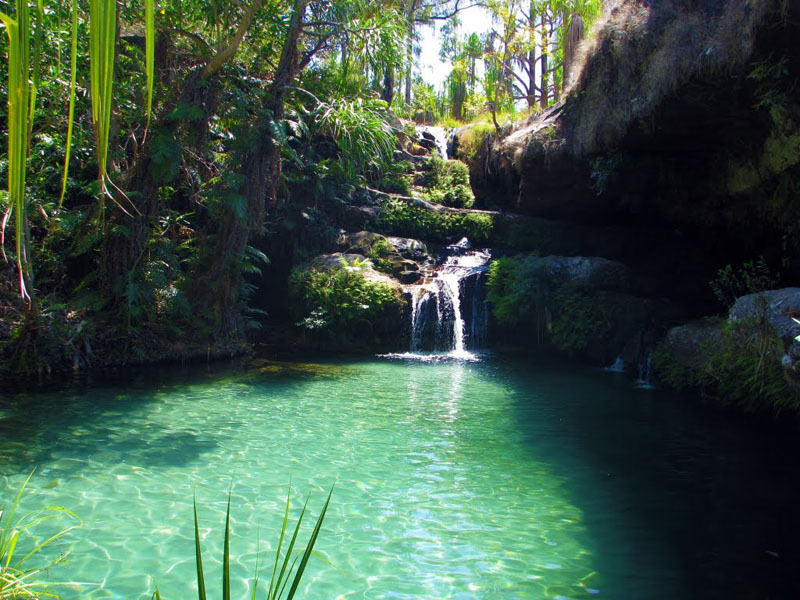 It is an unexpected oasis in the middle of rocks, where flows a cascade of fresh water. You browse the cliffs, the plain of Tapia, a versatile tree, large savannas and the massif eroded in strange shapes. The visit of graves Bara and Sakalava makes the mystical key of the circuit. This circuit is also a live slideshow of plants 'adapted' through the geological transformation of Isalo. In the forest of Mangily, See also their Catta. 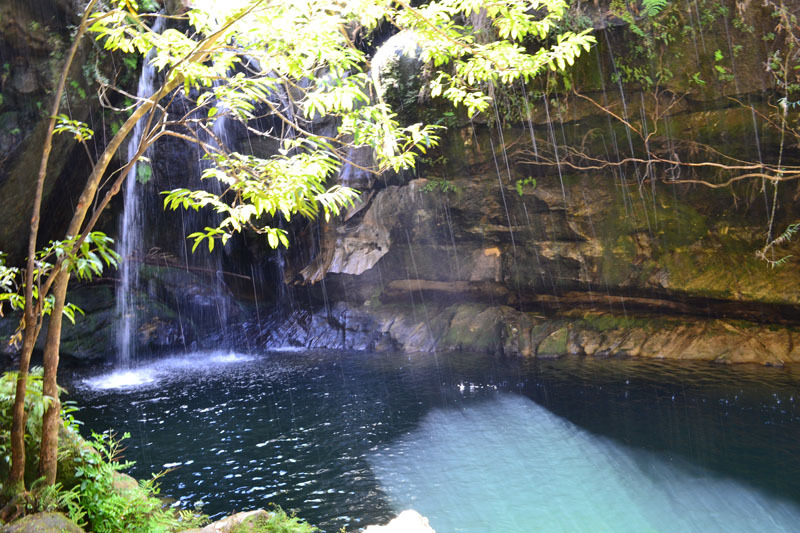 Cascade of the nymphs, black pool and blue pool : 3 km by car from Ranohira to the parking / 3 trekking km - Medium difficulty. It is an easy circuit to the camping area, However the rise of the river, Since the area of camping to the waterfall or black pool, just be a little arduous. The trail is equipped with ramps, for your safety. You will cross the deep gorges until the blue pool or the black pool, climbing waterfalls or Nestle many rare birds, butterflies and lizards. And random your peregrination, cross a lemur ! 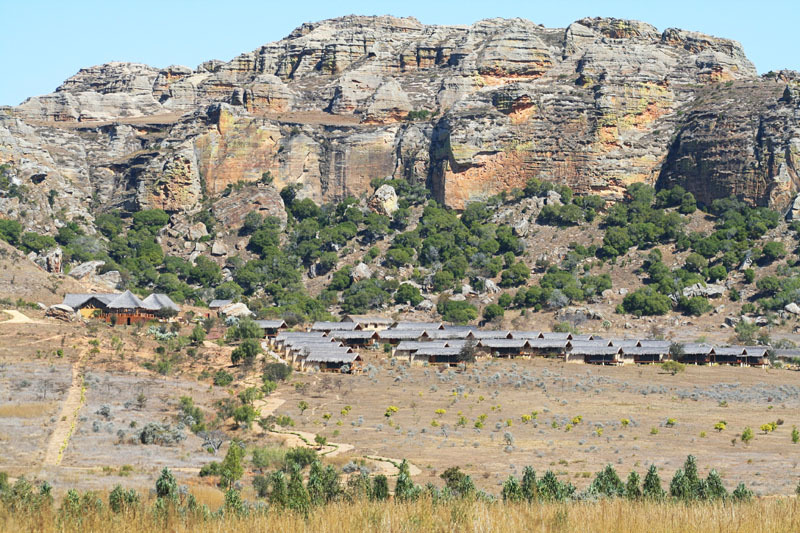 The heights offer breathtaking views of the lush panorama of the canyon which is worth its weight in gold. But the privilege of this circuit, It is the soothing bathing that you will provide to the cascade of the nymphs. Visits to the mines of Ilakaka. the town of Sapphire and its traditional mines, exhibition of precious and semi-precious stones.